It’s nearly impossible to go through a day in Zambia without at some point being drawn into a dance circle. Usually it’s at least fifteen children eagerly clapping and pulling their favorite chindeles into the middle to perform a goofy and rhythm-lacking dance move. As the kids laugh at the moves we come up with they sing “sala chi tomato, chi tomato, sala chi tomato, chi tomato.” The song was originally created to teach the younger children about growing tomatoes, with “chi tomato” meaning “big tomato.” Each day these dance circles bring us closer to the Zambezi community and a step closer to understanding who the big tomatoes of this world are. Over the last week in Zambezi I have seen as many powerful women as I have seen stars in the sky. In our rural village lacking city lights, that is a lot of women. Our own convent home would fall apart without the presence of our two Zambian mamas, Mama Katendi and Mama Violet. Dressed in their bright chitengi and with soft-spoken but commanding voices they guide us through life in their town as they cook for us each day. Tonight I was tasked by Mama Katendi with cooking the apple crisp for our dessert. As I began to combine ingredients, Mama Violet watched me with skepticism. In front of her stood the girl who dropped four eggs at her homestay five days ago, flooded the pantry two days ago, and was currently spilling two cups of flour all over the floor. The woman looking at me had managed to walk two full buckets of water (one on her head and one in her hand) back to the convent while our group struggled to load ours into the car to drive them home. Yet both of my Zambian Mamas supported me in my desperate endeavors not only to cook but to reach their level of empowerment. With each of my endless cooking questions, the Mamas reminded me that I already had the knowledge I needed as they gently pushed me back toward the cookbook. These women did not leave me to fend for myself but instead encouraged me with the same kind of quiet and wise love I know so well from my own mother at home. Later, as she announced dinner was ready, Mama Katendi smiled warmly at me and assured me that yes, my apple crisp looked beautiful. She saw my anxieties and she calmed them with a simple smile. Zambian women posses a strength beyond what I could have imagined. These women are the cooks, the innovators, the counselors, the shop workers, and the mothers of this village. Walking through the market I see countless women running their own stalls and shops. My host sister, Karen, works ten hour days at a grocery store followed by a twenty minute walk home to cook dinner in an outdoor stove for her family. She dreams of going to university and studying Psychology some day. Mama Love and Mama Josephine are Zambian women who work together as community organizers fighting for increased women’s rights and education. Mama Josephine guides us as we stumble through our Luvale language lessons while Mama Love never misses an opportunity to speak abundantly about her passions. Every single day these two do something that changes the life of a woman in Zambia for the better. Vera, one of the girls in mine and Katie Kenks’ grade 7 English class is quiet and speaks little English. But her gentle demeanor gives way to a thriving desire to learn and a perseverance to read the sentences we give her, even when she seems to have no idea. Each time Vera reads I am blown away by her ability. These are women who live with no running water and often no electricity. They work with fire-lit stoves and grow a great deal of their own food. Zambian women have dreams, they have goals, and they have some of the most intimidating and powerful personalities you will ever meet. Before I came on this journey I thought I was coming to empower women. I thought I was walking into a world of strict gender roles that confined women to the home under the masterful hand of their husbands. I was prepared to respectfully disagree with the role of women in their culture. I was prepared to thank God every day for my own women’s rights at home. I imagined I would meet many men with strong voices and an abundance of opinions, while I was served food by women and occasionally passed them carrying babies in the street. I believed I would need to tell these women how valued they are and remind them of their abilities. I was right in some ways, but in many ways I was very wrong. Yes, this is a society with pretty strict gender roles. Yes, I am often served food by women and I pass multitudes of women carrying babies wrapped in chitengi on their backs every day. Yes, I thank God every day for my rights at home. However, no, these women are not confined to their home. No, I have not found myself abhorred by the role of women in this community. No woman demands respect quite like a Zambian woman. At first glance it may seem like the men are the big tomatoes of this community. At second glance it may seem like those of us with a skin color that gives us automatic respect and authority in this community should be the big tomatoes. But spend five minutes with a Zambian woman and you will no longer question who is the big tomato here. Instead of me empowering these women, every day here I have been empowered by their voices. They push me outside of my comfort zone and prove that this is where I can truly thrive. Each day that I sing “Sala chi tomato, chi tomato” I am reminded of the beautiful big tomatoes that I interact with every day, and each time I feel united in our power as women. Let me start out by saying what a beautiful, eloquently written post you have given us all! I am beyond excited to hear about your awesome experiences. I am feeling second-hand blessed that you are getting to live this journey. God really is working in your life right now and I can’t wait to hear about what other blessings He has in store for you in Zambia. From your mention of the dropped eggs and flooded pantry, you haven’t come too far from dropping your whole plate at Souplantation. That being said, I am eternally grateful to Mama Katendi and Mama Violet for giving you some confidence in the kitchen. Maybe you will be the one whipping up banana bread and lemon bars when you get home 😉 The women of the Zambezi community sound so awesome. It is just like you to recognize their power and beauty so quickly. You are making definitely making OLP (especially Katie Turner) proud! Not much new here, as my accomplishments over the past month include almost finishing One Tree Hill and eating copious amounts of ice cream. Obviously we are both making Mom and Dad proud this summer. Anyways, continue living this experience to the fullest and remember that you are a big tomato in my life. You’re my hero. As soon as Taylor told me it was your day to blog, I rushed home; I don’t think I’ve ever ridden my bike faster (don’t worry, I looked both ways before I crossed the street). I am so glad you are alive and thriving in Zambia, not that I was worried for a second that you wouldn’t. I am pretty upset that you don’t let me read any of your writing though, because based on this blog post, you are an incredible writer. I am and will continue to be so proud of you. You don’t only have big dreams, but you fight to make those dreams come true. I can’t stop smiling about the thought of you cooking dessert for everyone there. No, I’m not laughing, I’m smiling at the new experiences you’re having 🙂 Also, I want videos of you dancing and singing with everyone! I agree with Laura completely that it is so like you to notice how powerful and loving these Zambian women are. You always seem to seek out the best in people, no matter what. Summer in Spokane isn’t too exciting, so don’t feel like you’re missing out on much. It’s nice having an almost full house of guys to hang out with; they send their love to you and everyone else as well. My mom continues to check up and see how I’m doing without you; moms are the best. Matt’s birthday is today, and Pat’s is in 2 weeks, so know that when you come back we will all be going out together! Okay, I don’t want to ramble on too long. I miss you like crazy. You are always in my prayers. This was such a beautiful blog, Handy. I feel like I comment that for every blog and I’m so amazed by what you guys are writing and reflecting on. Just picturing you dancing with the kids makes me so so happy. I can’t wait to be crazy tomatoes when you get back. I imagine that the way you interact with the kids is similar to the how you lovingly played with the children at the Behan. You are made to love and are so good at it. I also just read your email and laughed and cried and laughed some more. You are such an incredible human and I know your presence with the women is empowering for them just as much as it has been for you. I’m excited that you seem to be improving your cooking! You’ll have to give me some tips when you get back for sure. Maybe you can make the CLC some apple crisp donuts? Continue to take in the beauty of Zambezi and hear the voices of all girls and women. They are the people that will never escape your memory and will continue to grace your heart long after you’ve returned. Never doubt that you were meant to be in Zambezi. You have invested so much of yourself in this adventure and you deserve every part of it. Emily. Beautifully said. So proud of you and how you are both learning and teaching. I glad to see that “you are not letting your classes get in the way of your education”. Can’t wait to see you and hear about all your adventures. Love you. Thinking of you all during your time in Zambezi. Stay up late and wake up early! The time zooms by. Thanks for your continued efforts to make this program a possibility. Your example of relationship and stewardship is still ringing in my brain. I think Laura summed it up quite well. This post is a perfect expression of who you are. I can see you dancing with the children, dropping eggs in the kitchen and learning from women you admire and respect. I’m ESPECIALLY proud of you and the woman you are. One of the things I admire most about you is your constant willingness to take each experience, learn from it, and apply it in your life. Like Katie’s post yesterday, I know the lessons from this experience will continue long after you’ve left Zambezi. Enjoy it all. I’m so very proud of you and your entire team. PS – Can’t wait to hear all of the stories first-hand! Well done, I am continually encouraged by you. This post is everything I would have expected from you and then more. Gender roles are a fine line to watch a hard topic to bring up but empowering to see them challenged. Your passion for this topic inspires me to be bold and strong willed towards my convictions. I wish I could see you interacting with these women. Similar to New York I have no doubt you are sharing endless grace, compassion and genuine love. As you watch and grow in these relationships you are empowering them by being fully present. A quality I admire about you greatly. Selfishly I am tremendously excited for the conversations that are to come in our future donut CLC adventures. You will challenge us with even bigger ideas because of this new perspective. And I do agree with Nez you should make us apple crisp donuts, because yumm. Ps: Hi Matt. Hi Zac. Hi Katie Pol. Hi Davis. Miss you. Love you. Envious of your inevitable Chaco tans already. Byeeeeee. 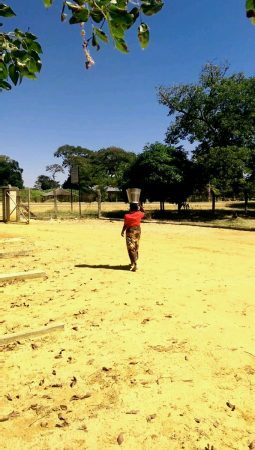 Thank you all for your willingness to make the time, spend the emotional energy, and take a risk by being vulnerable and transparent with us as you share these snapshots of your individual “Zambia experiences” with us! Elly- your insights are profound, and to recognize such things so early in your trip shows wisdom beyond your years. Andrew- I loved your account of the classroom experience. Again, such insight, wisdom, and humility. I hope the lessons and classroom experiences are going well for everyone! Katie B- the home stays sound amazing, and the diversity from home to home were unexpected. I love that there is such flexibility for each of you to create your own Zambia memories…you will truly each have your own story. Emily- what a fun and creative way to tie it all together in your blog- I love it! It is amazing how each of you can recognize preconceived ideas you brought with you to Zambia just a few short days ago and already be breaking down your own barriers. This is where peace and love begin. Katie K- Can’t wait to read your blog- you have some great footsteps to follow! BTW- I’ve listened to your CD about 5 times already- I love it! I hope you are having the opportunity to sing while you’re there! We love and miss you, Darlin! It warms this mama’s heart that her Katie-girl is in such good company on this journey. You are an incredible group! What an incredible post from an incredible human. I was so unbelievably happy to scroll down the blog and see your name at the end! As many others have said, I am continually impressed by you and your capacity to love others. You are such a caring individual and your wisdom and understanding is so clear in this post. 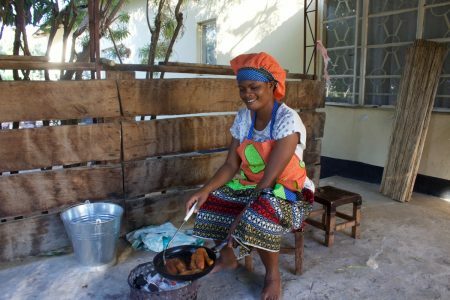 You tackled such an important topic in this blog and gave all of us a glimpse of the hardworking women living in Zambezi – thank you for that. You pour out your love and care into everything you do, and I can’t wait to see where that takes you in Zambia, especially with those lucky kids in your 7th grade class (yay!). Remember I am always thinking of you and sending good thoughts your way. I am eagerly awaiting your return to hear how this experience has landed on you and where it will take you. Never forget that Zambezi chose you – you are meant to be there, there is no doubt about it. Thanks for the wonderful reflection! p.s. Katie P. Miss you lots and lots. This group is lucky to have you. PS – How is that Zambezi Flu bug? Hope you are all well! Thank you all for your wonderful blog posts! It is so fun to come home at night and read the latest about your incredible experiences. You all have so much to offer, but it’s evident that you are also taking the time to soak in all that Zambia has to offer you. What a tremendous learning experience! You all are in our thoughts! P.S. Meg; all well here. Chris happy to make a.l. for Cowapa! Can’t wait to see you in Seattle and hear of all your experiences. We love you! Katie B-the Ted talk you referenced in your blog is one of my favorite! It was so wonderful to read your words and hear a piece of the story that is your time in Zambia. Cannot wait to hear more! Love you tons! Emily-goodness girl, you are incredible. I remember so distinctly your passion for women empowerment that first day of introductions. It’s so great to read that you are experiencing it on so many different levels in Zambezi. What perspectives to carry with you in what you go on to do with your beautiful life! Jeff-hi. love and miss ya. Katie P-had your fav salad from Genos tonight. Contemplated telling you because I know there is a lack of greens in your life currently but thought of you at just about every bite. I love you more than you know. Dakota and Sophie-it’s the last day of classes for the week! Think of you so often. Moira-we got the keys to the house today! Cannot wait to share a home with you. The thought of you in Zambia puts the biggest smile on my face. I love you. To you all, If it wouldn’t be obnoxious to write little messages to you all-I would. But please know I have so much in my heart for each of you and cannot wait to have more one way conversations with you each as your turn to blogs come.ha (seriously, so sorry if these are too much all the time). Sending big, big hugs your way! Emily–what a beautiful post! Thank you so much for sharing. Having gone a year ago, I’m still processing what a woman’s role in Zambia is and whether that is one of power and strength or oppression. I think a good part of my trip I was (and sometimes still am) frustrated and broken hearted that women aren’t treated better or are still viewed as secondary to their husbands. But you are SO right. The women of this town are the chi tomatoes, hands down. It warms my heart to hear about Mama Katendi and Mama Josephine and all the other Mamas you already know and love. Give them a huge hug for me and hold on a few extra seconds. This blog is so refreshing and a perspective I really needed to hear. Thanks for sharing your beautiful heart, passions, and voice, Emily! I’m so bummed to realize I spent a week in NY with you and years at GU without having a conversation about your deep desires for equality and women’s rights…hope we can do that when we get back! Katie B–I missed your post yesterday, but I love the way you’re processing and experiencing Zambezi. There is so much power in a story, and I know you’re probably collecting and writing incredible stories as you continue to write your own. I have no doubt you’re thriving there! Thinking about you and so many others from your crew. Katie P– with all this time now, I’m catching up on all the reading I wanted to do during the school year haha. My sister snatched a copy of reflection, which I read a few days ago (nice work on reflection Jeff…is there anything on this campus you’re not involved in?? Also are you getting more than 4 hours of sleep? Take care of yourself! miss you lots and wish I was sitting in the convent yard talking to you over tea again. I wonder how alupe(sorry I probably spelt that very wrong) and his family are and how the library is…I hope you’re making time for you and for continuing to grow roots in this place where you seem to come to life (the Windows also probably help haha) even if you’re missing a few lives back home. So many parentheses, sorry Emily!) anyway back to Katie, I flipped open to your page in the journal and reread your story for probably the 8th time now…that first time you emailed it to me I reread it 3 times in a row with hot tears flowing down my face but a small and persistent hope tugging at my heart.. Almost every time it moves me to tears, and it reminds me so much of a shared pain and the brave and strong way you processed and still are processing it. That night and day was so painful and left me searching for a hope I’d lost in a place I loved. Thank you for being so much braver and wiser than me and giving me an example of how to use voice as a way to find freedom and strength even when it leaves you so vulnerable. Thank you for never giving up on people or on what you believe. Every day I am so inspired and proud of the person you are. If I can be half the person you are, ill call that a success. I can’t wait to live with you and to walk through life more closely with you. Thanks for sharing your piece. I dont think there is anyone who would be a better TA for this trip. You are one of those chi tomatoes Emily is talking about too. Love you lots. Miss you dearly. This was a lovely perspective on women in general. We have so much to learn from each other! Very insightful and well written. Thank you for sharing yourself with all of us! Thank you all for all your thoughtful, insiteful and honest posts! I look forward to reading them every day. Take care everyone! Hugs! As I sit on my lunch break in Spokane I picked through my pasta and ate all of the tomato chunks. This post had me nearly crying in my office and hoping no one called my phone. From the things I’ve heard about Zambia (and I’ve heard a lot) I think you are reaching a key point that most people wrestle with. I hope all you and all of the big tomatoes in Zambia and your group are doing well. HANDY! I think that YOU are the big tomato here. It was so awesome to hear/read your words. I wish so much that I could see you and the rest of the Zam Fam in action, but it just makes my whole body tingle thinking about all of the amazing people, places, and things you all are experiencing. Also, I’m so happy to hear that you got to stay with Steven and Violet for your home stay! They are just the greatest people, and my experience staying at their home last year was one of my most profound memories. Keep thinking, keep loving, and keep being awesome! LOVE YOU ALL! Okay so apparently my lovely reply on the day of your post did not save which I can’t understand because you know how techno savy I am!! I have read your blog post and e-mail at least 50 times. Sometimes I can actually get through it without crying!! I miss you terribly. I am delighted that you are learning to cook new foods. Clearly your Zambian Mama’s are strong, patient, brave women! (Much more than your own) You have learned so much in such a short time.This trip is all I knew it would be for you. You are not there to create change but to be changed. Sorry my response was delayed!! Hi…. I miss you! What a wonderful and life-giving experience you have had so far! I am so lucky to get a little taste of how you have grown on this journey and I can’t wait to hear more when you are back in the states. I am so proud of you, Handy. It is scary stepping out of your comfort zone but it offers incredible opportunities for growth and adventure. And you’ve already experienced it…. like your mean apple crisp! Its a little different than the Handy classic garlic/buttered noodles but with the help of your encouraging Mamas, you were able to create a masterpiece. Please know that I will be expecting this creation at 324 next year. This journey is something you’ll never experience twice so soak it all in. Laugh a little harder, latch on to those children a little tighter, and embrace all the challenges that come your way. I am continually amazed by your passion, your grace, and your capacity to love others. Keep shining your light and allow God to work through you. SALAD CHEESE TOMATO. CHEESE TOMATO. P.s. Please know I have been thinking and praying for you all. I pray that this experience will continue to allow you to grow, reflect, and gain new perspectives as the days go on. Not many people chose to do something as incredible as this. You are all my inspiration, so thank you! Your post was very well written and inspiring. It takes courage to admit our preconceived notions were not true, and to be able to recognize the great power these Zambian women have is special for you and special for them. It sounds like you are having quite the adventure over there, I am looking forward to hearing stories about your journey. I don’t even like tomatoes, but I’ll have to eat one in your honor.